Want to know the key to eliminating chronic pain from your life? It’s not more rigorous exercise, medical interventions, or expensive therapies. It turns out you have had the key all alongyour body and its natural brilliant design! For years we have been overlooking a crucial element of the bodyfasciathat holds the key to allowing you to live pain-free. Many of us think of the human body as a static, mechanical system of muscles attached to a skeleton. What is missing from this picture is the tissue that unites all the parts: the fascia, a seamless web of dynamic connective tissue that surrounds all muscles, bones, organs, and even cells. When one part of the fluid fascial web moves, the rest of the body responds. 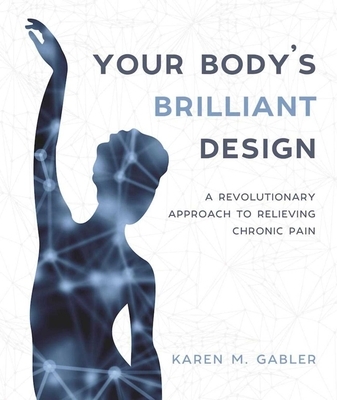 When we learn how to connect to this system through subtle movements, we open up a world of understanding of how our bodies are designed to work with us, not against us, to support an easy and pain-free life. This book will teach you how to feel and embody this new anatomy by connecting to your dynamic center of gravity called the Core Hug, and to a vertical line of muscles and fascia that runs deep through the body called the Vertical Core. When you connect to the Core Hug and the deep Vertical Core using movement, your body is able to suspend itself and sustain that suspension over time. Your body is already brilliantly designed to support you. The architecture is within you. The key is to access that brilliant design and work with it. Through stunning imagery and simple movement techniques, this book teaches you how to use the natural architecture of your body (bones, fascia, and movement) to align, balance, and support you so that you can move with ease and live without pain.